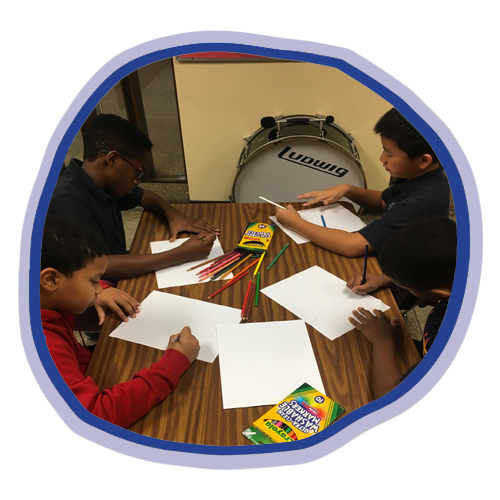 The San Miguel School of Providence is a private, independent Lasallian middle school that provides a quality education to underserved boys from the Greater Providence area. We are dedicated to the belief that education is the key to breaking the cycle of poverty. The members of our community strive to provide quality education to those most in need. Admission to San Miguel is not solely determined by academic excellence, but rather we look for boys with great promise. Young men who are not only motivated by the desire to learn, but possess the integrity needed to become a ‘Miguel Man’. San Miguel introduces boys to educational experiences that expand their worldview, as well as creates a safe haven that allows boys to become brothers. San Miguel nurtures the academic, moral, cultural, and social growth for all students, while encouraging each student to discover their own unique talents. San Miguel serves boys in grades 5 through 8. Those interested in enrolling their child must begin the application process during their son’s 4th grade year. Enrollment in grades 6 through 8 is dependent on a spot becoming available. Most students entering in 5th grade remain enrolled through graduation. However, if you are interested in enrolling your son for grades 6 through 8, we will happily add you to the waiting list to be contacted in the event a spot becomes available. All applications must be accompanied by the family's most recent 1040 tax form. Tuition is based upon income and the amount a family is able to pay. Recommendation forms must be given to the child's teachers, who should mail, fax or email the forms directly to the school. Once the application is completed, the child will be invited to spend the day at the school. The family will bring the child to school, meet with the admissions coordinator, and tour the school. Acceptances are announced in mid-April. At that time, tuition will be discussed. Once the family has agreed to enroll their son at San Miguel, the Academic Dean will call to set up a home visit-the purpose of which is to build a strong working relationship.